Join us on national #RecDay as canoe battleship comes to the New Balance Recreation Center! Your team’s objective is to sink the battleship of the opposing team, with the same mission as yours. In teams of four, you will be equipped with a canoe, a bucket, a kickboard and a water sprayer. 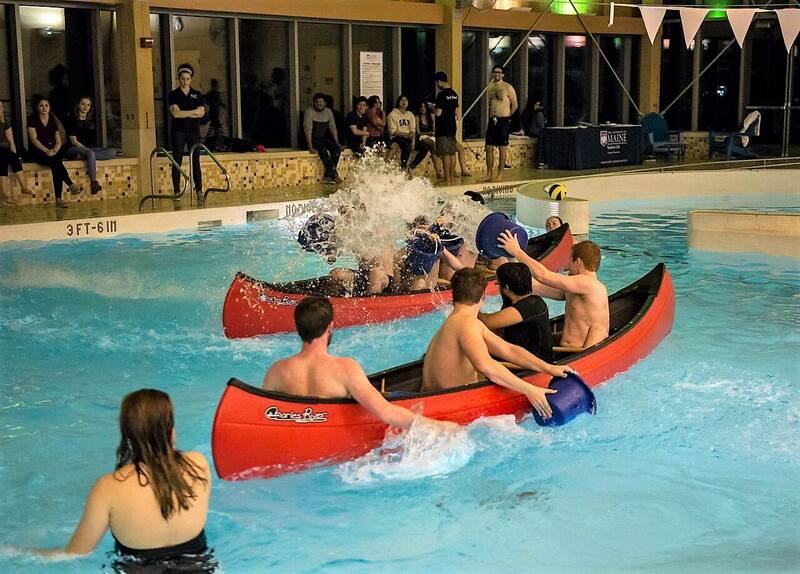 Challenge three other boats at the New Balance Recreation Center’s pool and compete for the winning title of Canoe Battleship Royalty. This event will take place on February 22nd at 6:00PM. Register now on IM Leagues – http://www.imleagues.com/spa/league/42213a5198cc4bedbfb6d6510c911227/home – or at 5:30 on the night of the event! ??? ?